Another film of which I had no previous knowledge. Love those. 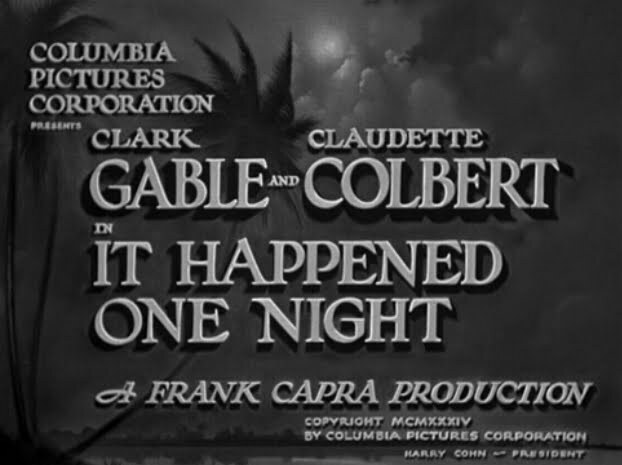 Frank Capra's 1934 comedy It Happened One Night holds the honor of being the first film to win the Big Five at the Oscars (Picture, Actor, Actress, Director and Screenplay), a feat that would not be repeated until One Flew Over the Cuckoo's Nest and The Silence of the Lambs (both on the list! 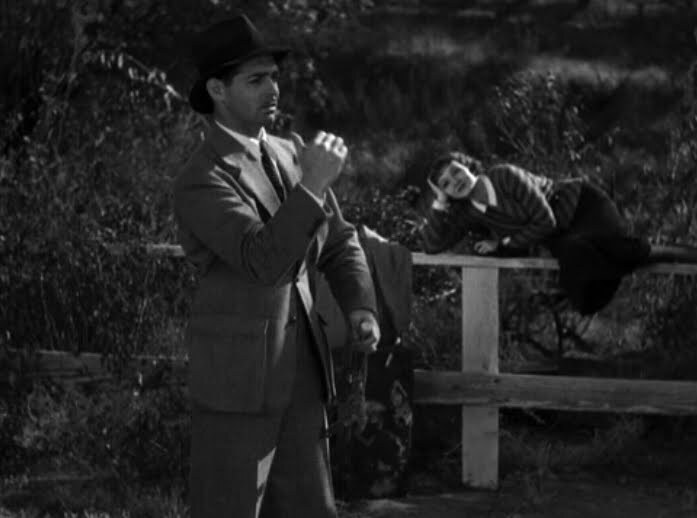 ), but as far as these screwball comedies from the 1930s go, it ranks for me somewhere in the middle of the pack. Company: all alone once again. Cuisine: Wheat Thins and Diet Coke. 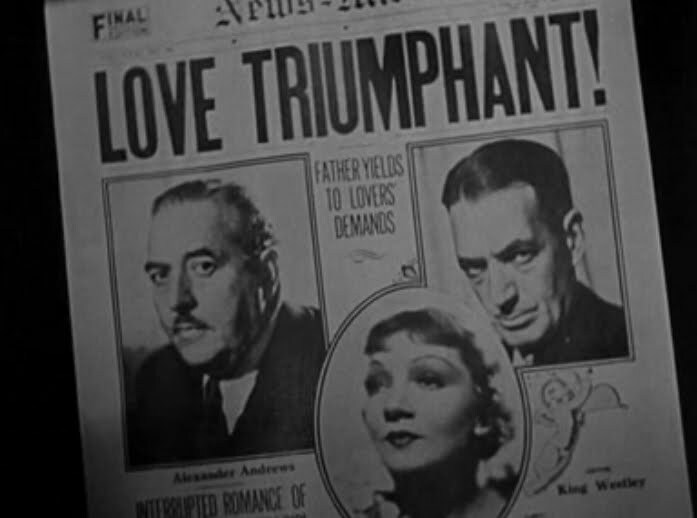 The story opens on Ellen Andrews (Oscar winner Claudette Colbert), a spoiled heiress, marries a fortune hunter "King" Westley (Jameson Thomas) against the will of her father (Walter Connolly), who snatches her away from her new husband before the couple can consummate the marriage. He wants the marriage annulled. She wants offa that boat. 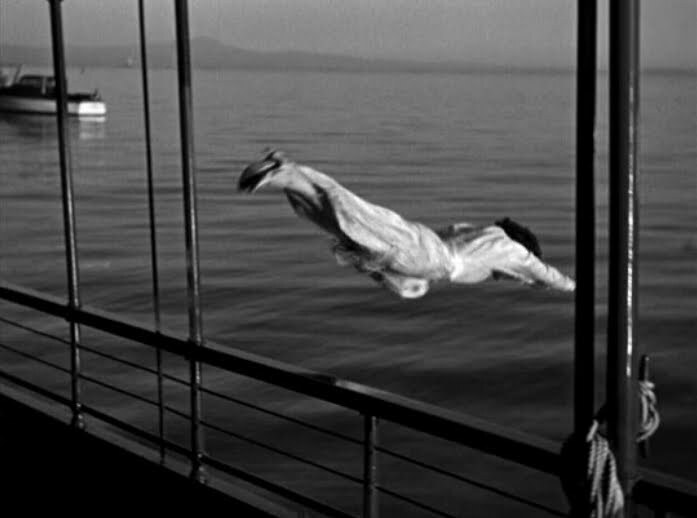 She jumps and somehow eludes speedboats (?) to escape. Once on the lam, she's determined to be reunited with her beau and boards a bus for New York. 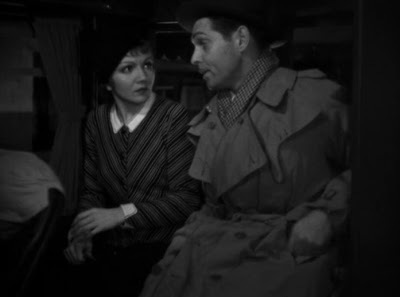 On the bus she meets Peter Warne (Oscar winner Clark Gable), a down-on-his-luck journalist who recognizes her as the runaway socialite and strikes a bargain: if she will give him an exclusive on her story, he'll help her reunite with Westley. If not, he'll expose her and collect the reward. It's a clear-cut premise with a promise of comedy! The dialogue, predictably, pits the wordsmiths against each other. He's a journalist, she's a firecracker: it works. 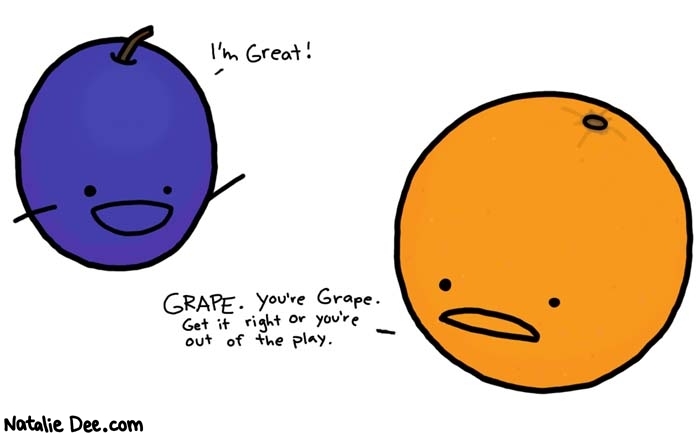 It's that type of humor that just makes you chuckle (e.g. when the bus hits a bump and she sits on his lap, he says "Next time you drop in, bring your folks!") 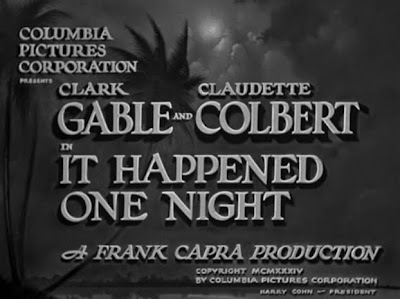 but not double over with laughter, and neither Gable nor Colbert is quite as zany as, say, Cary Grant or Katharine Hepburn in Bringing Up Baby. "Holy jumpin' catfish, you drive a guy crazy!" 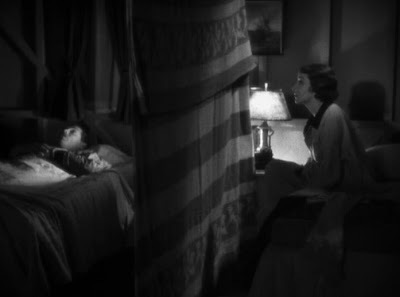 ... or even the gentlemanly charm Peter displays by continuously putting up a blanket partition to maintain some privacy for both of them, calling it "the wall of Jericho." These vignettes all add up to what the formula asks, which is that the leading lady falls for the leading man, then through a misunderstanding we think all is lost. 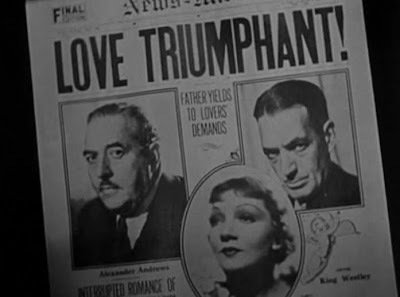 It's an interesting plot device: the journalist down on his luck who discovers a story and changes his life with it. Very similar, actually, to Sullivan's Travels and scores of other journalism movies (like Network? 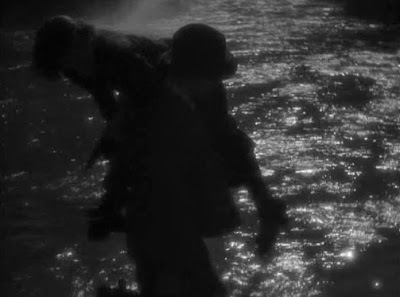 maybe) that use the reporter as a catalyst or vessel for the extraordinary events of the movie. 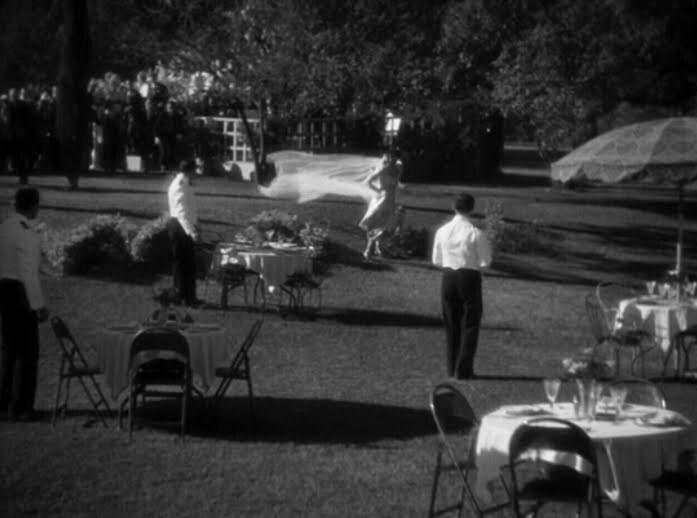 I'm not complaining -- it works -- but I just hadn't ever really thought of it as a common cinematic device before. The end is somewhat predictable but still sweet -- and the last image really lays on the cute, so you end with a little "awww." It's not a movie that's going to change your life, but I suppose it's one of those that you really could rewatch. 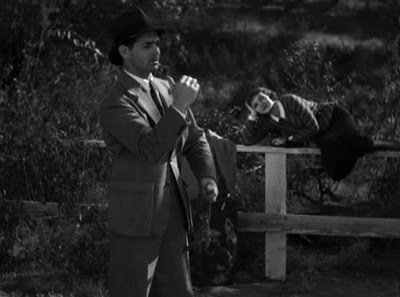 A sweet little valentine of a movie, if not particularly memorable. Not gonna get another in before Christmas, so HAPPY HOLIDAYS to all y'all, and I'll catch ya on the flip side with #45: Shane. Maybe this Western will break my streak of boredom with Westerns...?